In May, Ira Leesfield underlined the increased dangers in all water-related activities, including boating, during national holidays when he wrote: “Memorial Day boating and water sports highlight safety issues in the Florida keys.” This past weekend, during the 4th of July festivities, tragedy struck when three boats collided, resulting in the death of four people, and seven more severely injured. Investigating officers for the Florida Fish and Wildlife Conservation Commission have released several answers as to what exactly happened on Friday night at around 10:40pm. Fish and Wildlife spokesman Jorge Pino said yesterday that it is typical for boaters to go out on the bay to watch the July 4th fireworks from the water. When the fireworks end, it is also typical that the majority of these boats sprint back to land, and the dark conditions always make heightened the dangers of a potential boat collision or accident. It would only take a leap to hear the investigators look to the operator of the Contender as the potential responsible person for the three-boat collision. According to witnesses aboard the Carrera, the Contender was “coming straight toward” them at high speed and crashed into the Carrera before any evasive maneuvers could be undertaken by either captains. 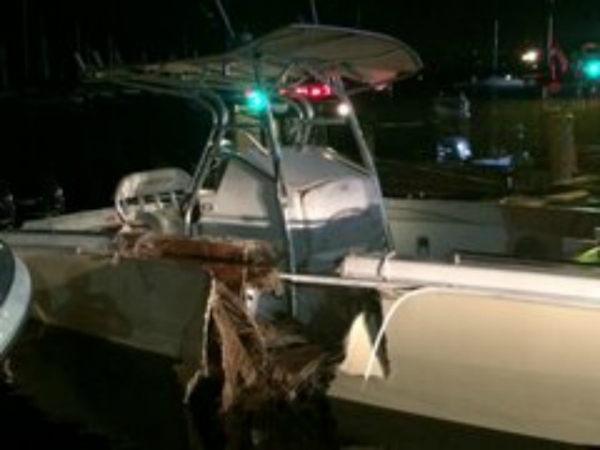 The Contender spun out of control after the first impact and ended its course after colliding with a third boat, the Boston Whaler.